“My Hero Academia” has been a huge hit, selling over 16 million volumes of manga in Japan. It’s a blend of superhero, school life, and shonen action—and frankly one of the best currently running anime series. 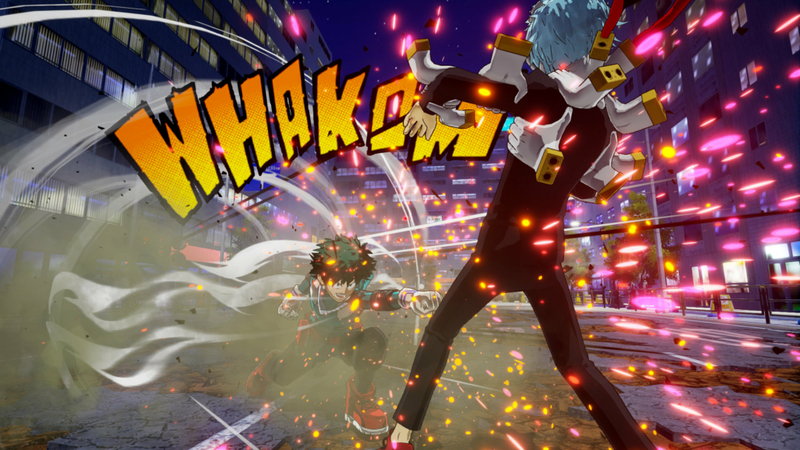 A tie-in fighting game should be a home run, but My Hero One’s Justice comes off as a hollow representation of what made “My Hero Academia” so popular in the first place. The awkwardly named One’s Justice follows the main storyline of Izuku Midoriya, a teenager who, in a world where the majority of people have superpowers called “quirks,” is quirkless. His heroic aspirations nevertheless inspire the No. 1 hero, All Might, to take Midoriya under his wing as the successor to his quirk One For All, a seemingly unlimited well of super-strength passed from generation to generation. All of this is quickly glossed over in the first few comic book-style frames of One’s Justice. The story the game actually occurs from about halfway into the anime’s second season up to halfway through the third. It’s an odd arc, meant to encapsulate how All Might finally passes the responsibility of One For All to Midoriya, and how the latter comes to understand what he’s been given. But if you haven’t watched the show or read the manga, you will certainly be lost. Short text exchanges and screenshots from the anime punctuate the story mode, along with a couple in-game cinematics, but you still miss a lot of build-up and character development. The idea is to get you into the arena with the bare minimum exposition, so you can re-enact the series’ most famous clashes yourself. 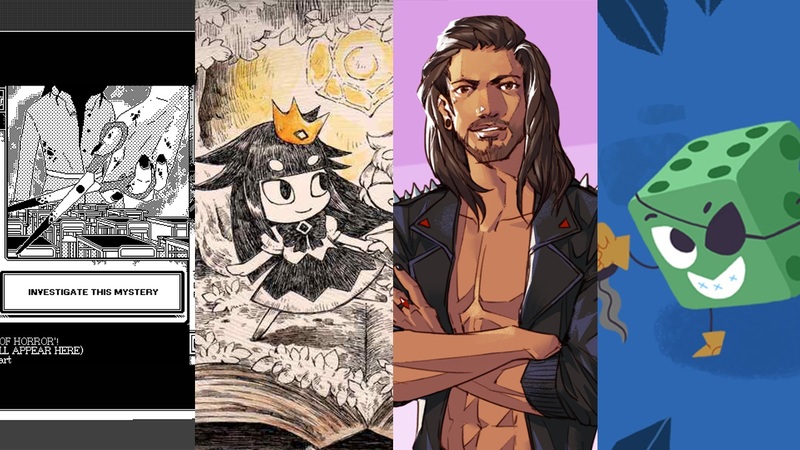 All the big fights from this particular slice of the anime are here—plus a few more that are exclusive to the game. Several “what-if” and side story sections show the action happening away from the primary plot. These at least flesh out the concept of superhero school-life by depicting potential training and sparring sessions. 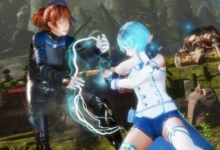 While story sequences are told in stills of the anime, in-game action is all 3D. The characters look close enough to their source material (though maybe not from every angle). 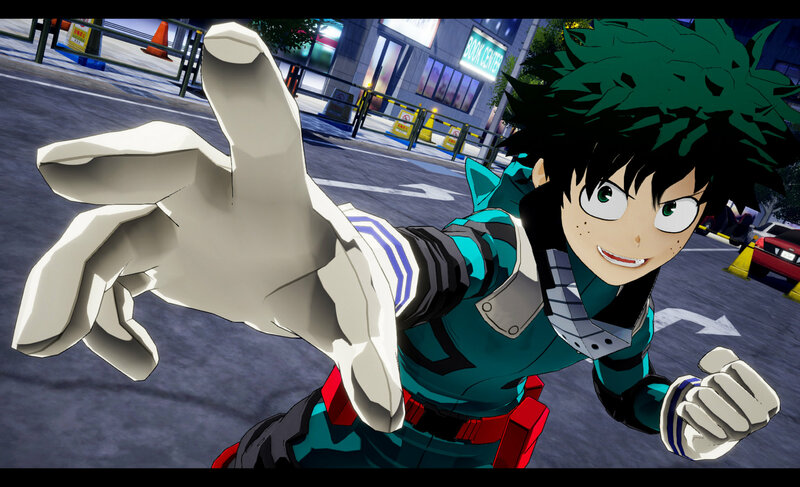 While certain characters, like blue-flame villain Dabi and frog-fighter Tsuyu Asui, look great in 3D, I never got over how slightly “off” Midoriya looks. It’s not a major qualm, but I didn’t get that “I’m playing the anime!” feeling from the game’s visuals. But how’s the fighting? One’s Justice’s combat takes place in boxed dioramas with full 3D motion. If you’ve ever played the Ultimate Ninja Storm run of Naruto games, you’ll have the gist of this one; fighters have freedom to run, dash, and jump in any direction, while holding onto some semblance of a locked-on circle with each other. Sidekicks provide assist attacks and super moves are called “Plus Ultra” attacks, in fitting with the students’ academy motto. Arenas are recognizable, but not especially memorable. The only major distinction is that a few have potential “ring out” endings. Controlling the heroes and villains is straightforward. One button is your basic attack. Holding a direction while pressing it winds up a charged attack. Two buttons function as different quirk attacks. 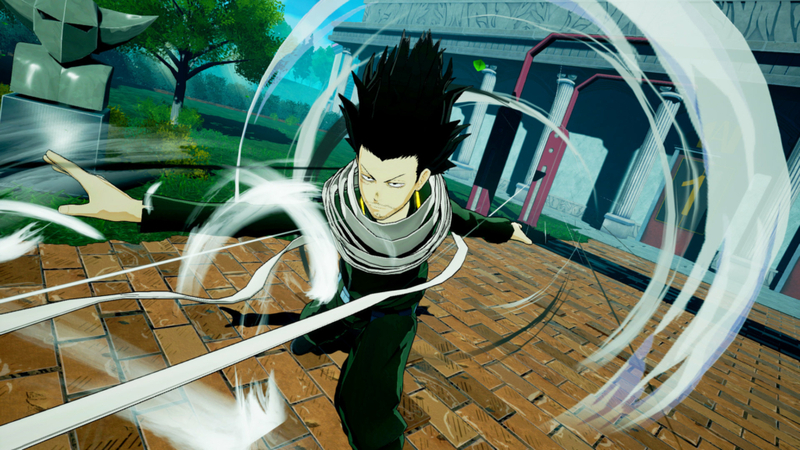 Then you can perform a third by moving pressing a quirk attack and moving in a direction. Those directional inputs are where One’s Justice starts to feel very unwieldy. Approaching a foe to attack with your bread-and-butter combination requires you to run or dash at them, let off the control stick, then start hitting square. If you don’t do that second part you’ll wind up for a big ol’ charge attack, instead of a quick series of jabs, and look like a fool doing it. Directional quirk attacks feel a little odd too. Although you don’t hit those buttons very often. One’s Justice allows for two control options: manual, which lets you decide each and every attack you throw out, or normal, which automatically combos a standard string of attacks when you mash the basic attack button. Normal feels a lot smoother. Not to mention you can still mix up your automatic string with quirks. The 3D running gets more of a Y-axis with another mechanic. It’s basically wall-running. Characters already have an unnatural float to them, even if they aren’t a normally airborne fighter, but fights can also move onto the walls. The plane tilts a few degrees when they do. Plenty of heroes are mobile and agile enough to theoretically use these walls in fights, but plausibility isn’t really my issue with the Inception-esque wall-fighting. But the way the game tries to handle them that transition is strange and distracting. Every time a clash goes to the walls, especially near the corners of boxed arenas, the camera can’t keep both fighters on-screen. It’s already a struggle to follow both characters amid all the scenery destruction and quirk attacks, especially if their silhouettes are similar. And often when I slam an enemy into the wall, opening them up for a big attack while I’m still “grounded,” it’s difficult to transition into whatever stance allows me to actually attack them on the wall. These core issues are a shame, because some of the hero designs are very smart adaptations of the cast. All the familiar faces are present; including just about everyone you’d want from Class 1-A (so basically “not Mineta”). Basic brawlers like Midoriya and All Might are simple to translate. They rely on punches and kicks, while incorporating classic moves like Midoriya’s “finger flick.” It both pays homage to the source material and gives him a decent projectile. Iida and Gran Torino dart around the arena, Bakugo blasts out a barrage of explosions, and Todoroki makes sheets of ice and swathes of fire. The design really shines in the unconventional heroes with odd quirks. Gravity-altering Uraraka is a grappler who floats enemies into the air and pile drives them back down. 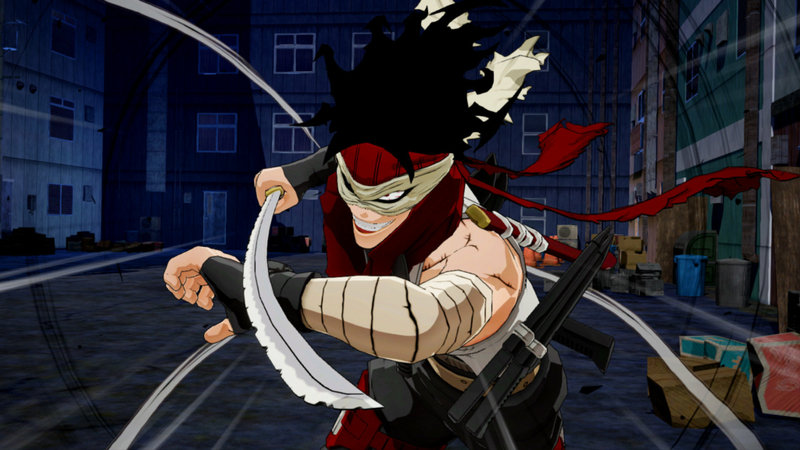 Jiro’s ear-jacks make soundwaves to play keep away and Momo’s Creation quirk draws out different items to wield as weapons in combo strings. Even if some of the characters’ personality gets lost in translation, I’m impressed by the work done to keep them faithful to the anime. But even if it’s conceptually interesting, One’s Justice falls apart in the execution. 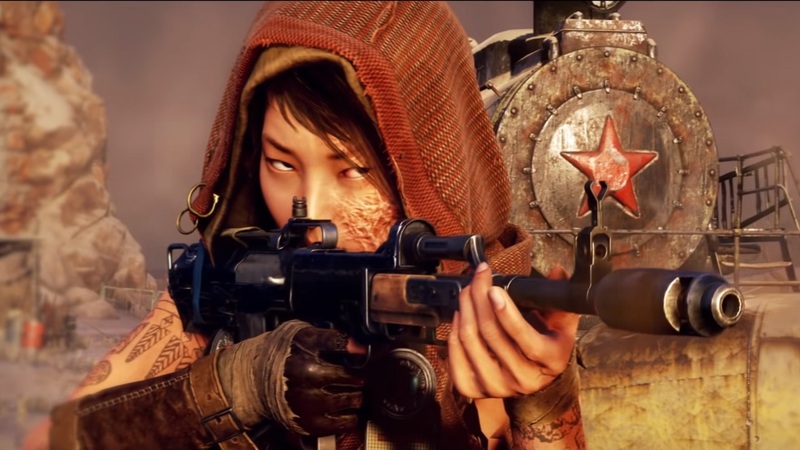 Even across different rosters and settings, throughout story mode and the game’s additional challenges assembled in Mission Mode, the gameplay remains the same. You dash in, attack, rinse, and repeat. Perfect guards and assists add extra layers to combat, but don’t really stop One’s Justice from feeling overly simplistic—especially after other tie-ins like Dragon Ball FighterZ have made huge strides in translating TV action into fighting game arenas. 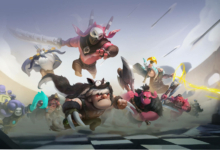 There are unlockables to… unlock, in the form of cosmetics and challenges. There’s also a second campaign told from the villains’ perspective. But it’s all so superficial when the combat is repetitive. I hesitate to recommend One’s Justice even to extreme fans of the show. And to anyone else toeing the waters? Just watch the show. My Hero One’s Justice misses almost everything that made “My Hero Academia” such a hit. The character development, emotional intensity, and the creative use of wacky powers are nowhere to be found. The game is fine for a few fights and “what-ifs,” but even by the end of the short story mode, the drive to become the No. 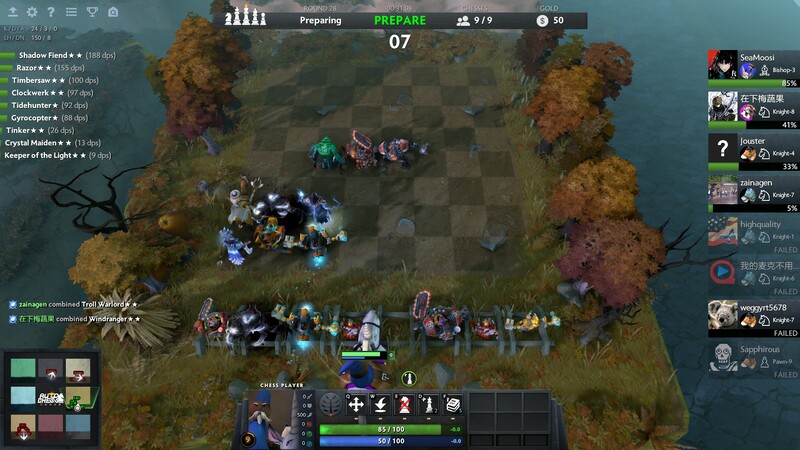 1 hero completely runs out of gas. My Hero One's Justice is as messy as its name. It translates the source material into interesting fighting characters, but can't build a fun fighting game around them.